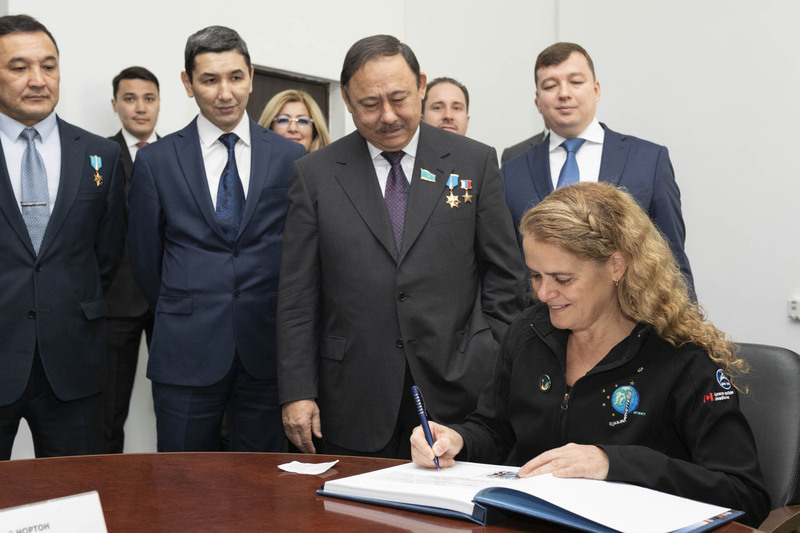 Her Excellency the Right Honourable Julie Payette, Governor General of Canada, undertook a working visit to the Republic of Kazakhstan from December 3 to 5, 2018. 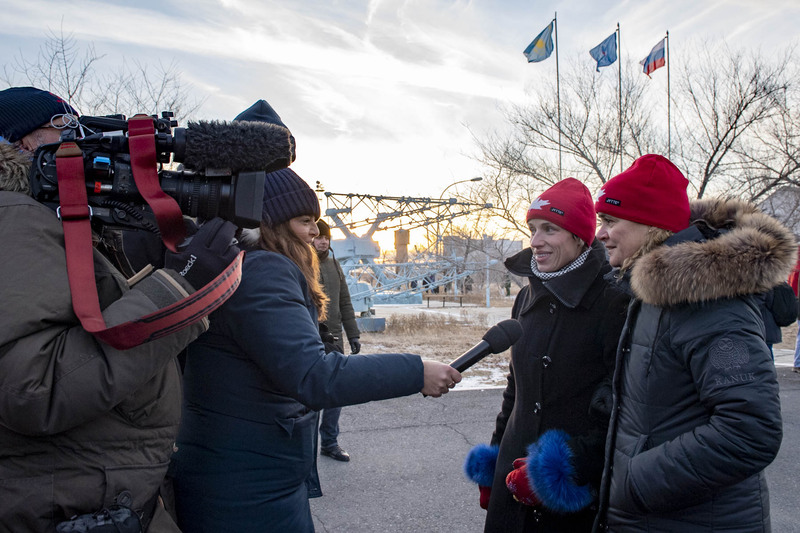 Her Excellency traveled to the Cosmodrome in Baikonur for the launch of Canadian astronaut David Saint-Jacques on his mission to the International Space Station (ISS). In Astana, the capital of Kazakhstan, the Governor General met with His Excellency Nursultan Nazarbayev, President of Kazakhstan. She also attended an official luncheon on women’s leadership and visit Kazakhstan’s National Space Center. 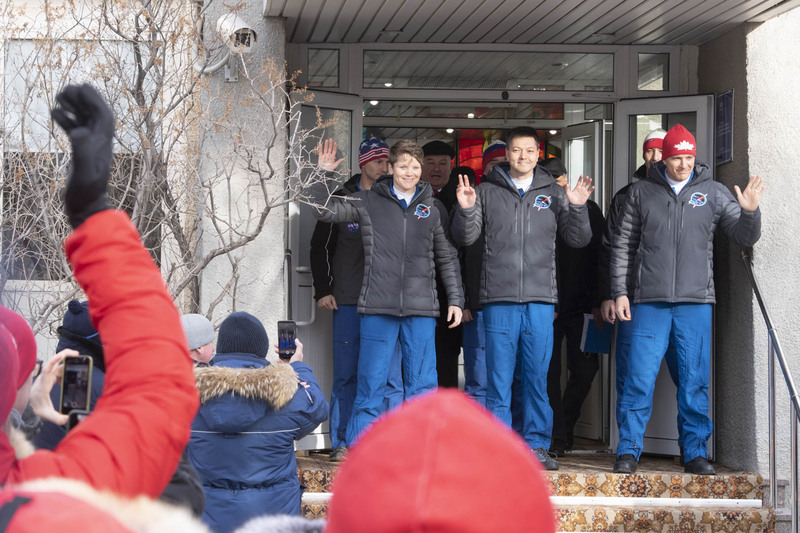 Her Excellency attended the launch of Canadian astronaut David Saint-Jacques and his crewmates Anne McClain and Oleg Kononenko to the International Space Station (ISS). Expedition 58 is taking Mr. Saint-Jacques on a six-month mission to test new technologies and conduct a series of scientific experiments and robotics tasks on board the orbiting laboratory. 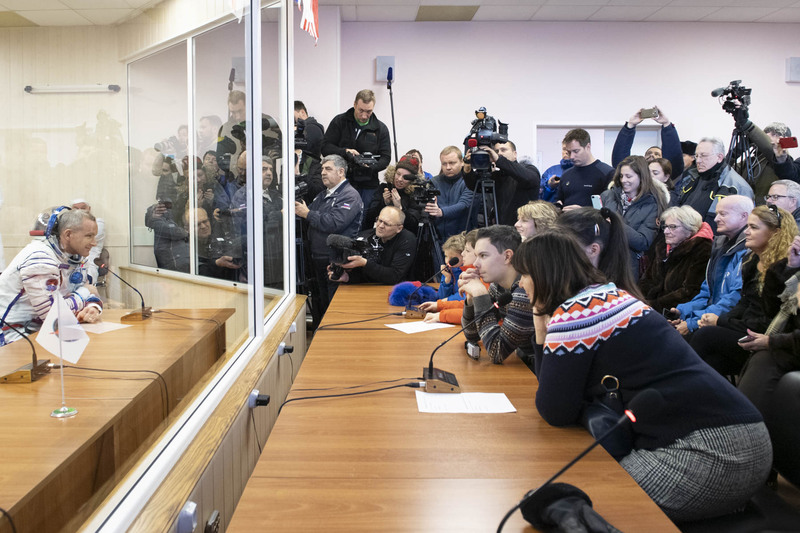 The Governor General travelled to the Baikonur Cosmodrome for the launch of Canadian astronaut David Saint-Jacques on his mission to the International Space Station (ISS). As an astronaut who has completed two space missions, STS-96 in 1999 and STS-127 in 2009, the Governor General also played a formal role as a liaison between the astronaut's family and individual governments in the event of a problem on launch day. She is seen here with Dr. Véronique Morin, spouse of David Saint-Jacques. David Saint‑Jacques is Canada's 9th astronaut in space. Co-pilot of the Soyuz rocket, he was accompanied by the American Anne McClain and the Russian Oleg Kononenko. 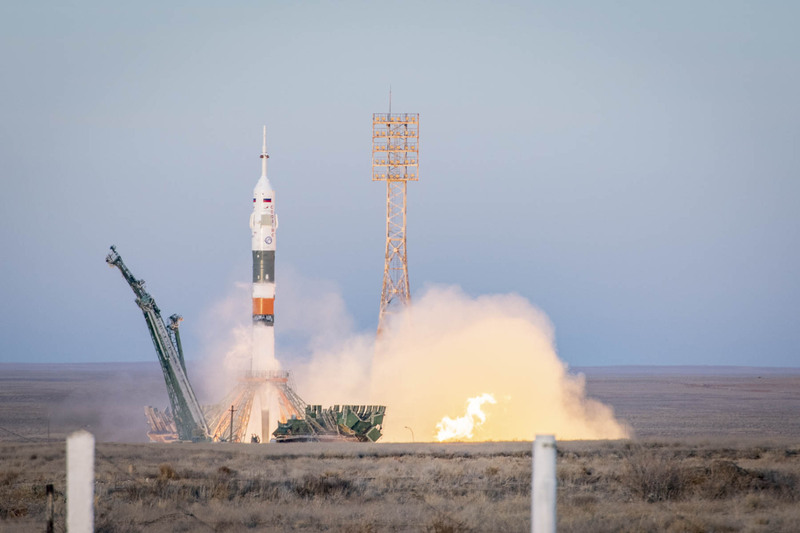 David Saint-Jacques' molded seat aboard the Soyuz rocket will help him better support the takeoff force that can reach three times the Earth's attraction. Before takeoff, astronauts are in quarantine to avoid contamination by a virus. The morning of takeoff David Saint-Jacques was able to say goodbye to his family. He will be on board the ISS for about six and a half months. 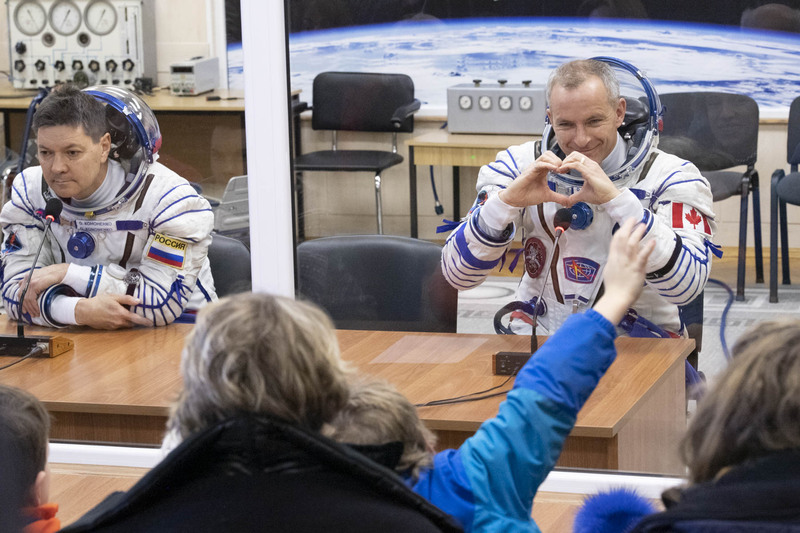 As part of Expedition 58, David Saint-Jacques, an engineer, astrophysicist and medical doctor, will test new technologies and conduct a series of scientific experiments and robotic operations aboard the orbiting laboratory. The departure was made from Baikonur, Kazakhstan. 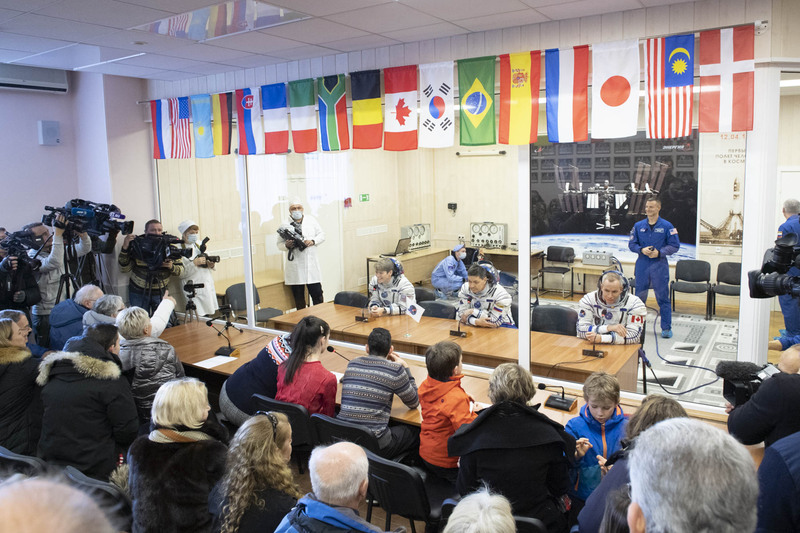 The astronauts entered the Soyuz about two and a half hours before launch. 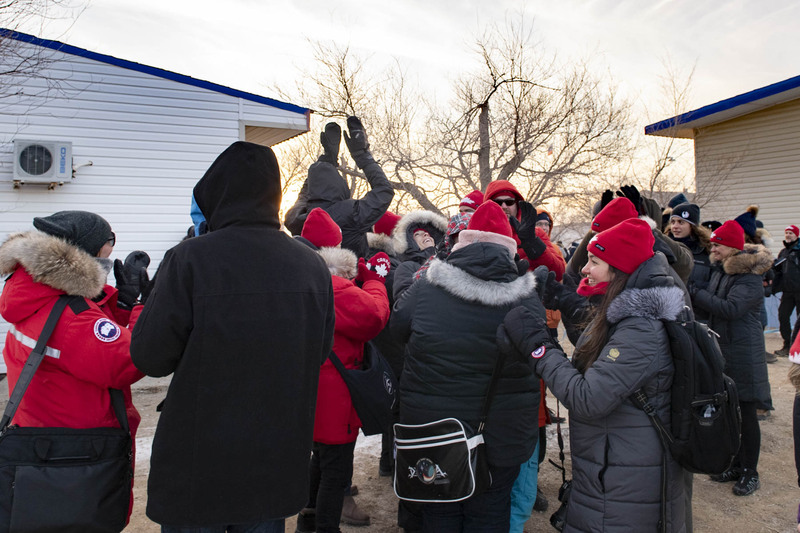 Canadians celebrated the successful launch. 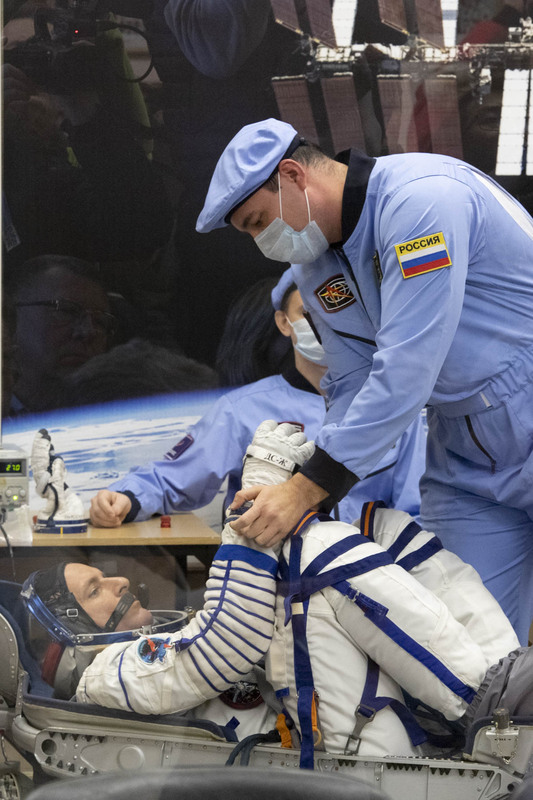 During his mission, David Saint-Jacques will conduct science experiments, including ground-breaking Canadian health science experiments that will make space travel safer for humans. He is scheduled to return in June 2019, which will make his space mission the longest for a Canadian astronaut. In an interview alongside Véronique Morin, David Saint-Jacques' wife, the Governor General expressed her enthusiasm for the International Space Station (ISS), explaining that "people who, 75 years ago, literally killed each other on battlefields, have worked together to build [the ISS] and to advance knowledge, for the good of humanity". 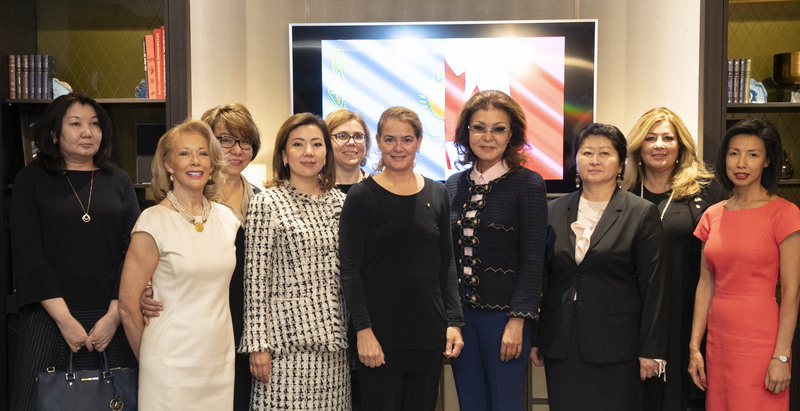 Her Excellency travelled to Astana where she participated in a luncheon on Women's Leadership hosted by the Government of the Republic of Kazakhstan. 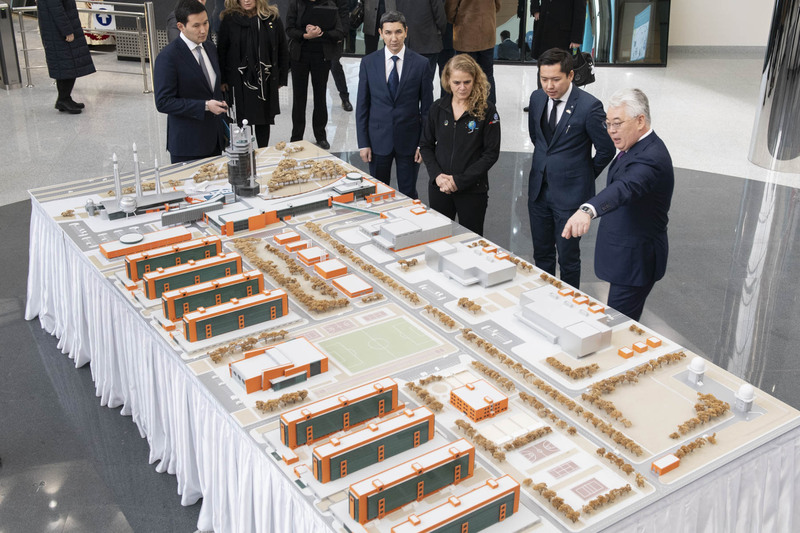 She met with the President of Kasakhstan, His Excellency Nursultan Nazarbayev, and the Speaker of the Senate, His Excellency Kassym-Jomart Tokayev. She ended the day on skates, as she glided alongside young Kazakhstani hockey players and Canadian Kontinental Hockey League (KHL) stars from the Barys Astana Hockey team. 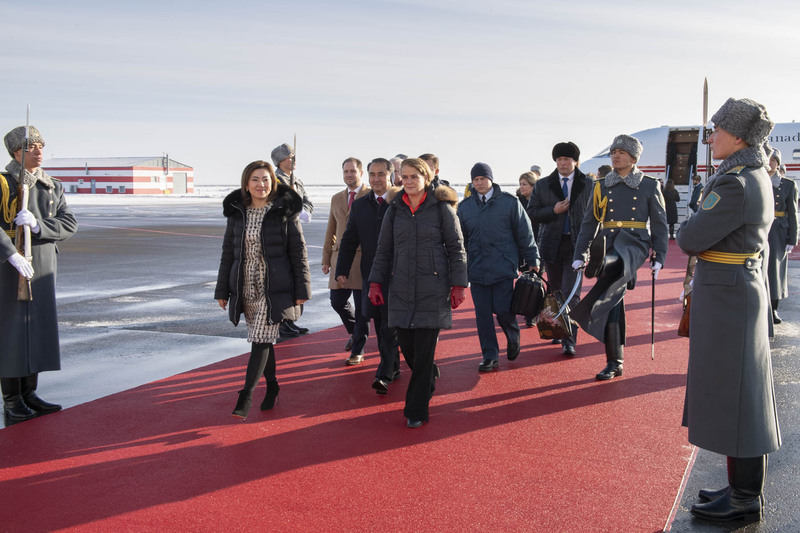 The Governor General travelled to Astana on the second day of her working visit to Kazakhstan. She participated in a luncheon on Women’s Leadership hosted by the the Honourable Dariga Nazarbayeva, Chairman of the Committee on International Relations, Defence and Security of the Senate of the Parliament of the Republic of Kazakhstan. The event was attended by prominent women from the government and private sectors. She then made her way to the Presidential Palace for a meeting with His Excellency Nursultan Nazarbayev, President of Kazakhstan. 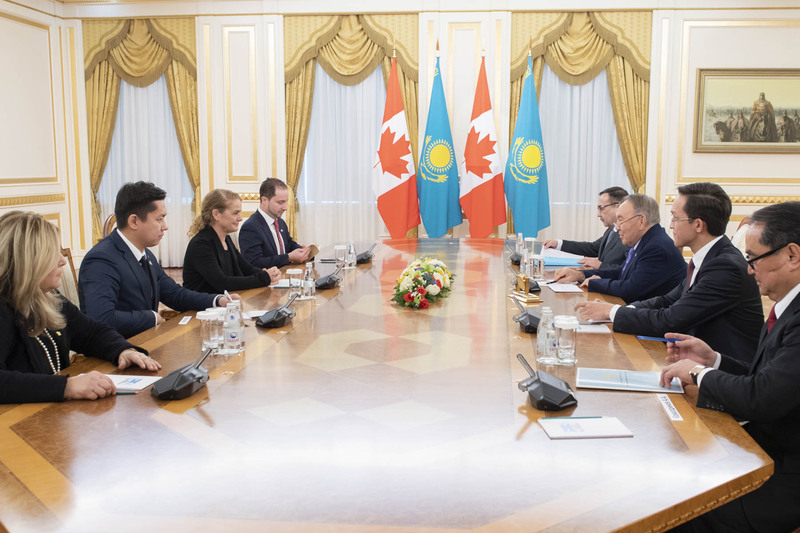 Governor General Payette, President Nazarbayev and officials of Canada and Kazakhstan discussed relations between our two countries with the aim of deepening bilateral ties. Her Excellency also met with His Excellency Kassym-Jomart Tokayev, Chairman of the Senate of the Parliament of the Republic of Kazakhstan. Her Excellency skated with young Kazakhstani hockey players and Canadian Kontinental Hockey League (KHL) stars from the Barys Astana Hockey team for an event that celebrated our nations’ mutual love of the game. The event also emphasized the Governor General’s passion for active living and youth in sport. The Canadian embassy donated hockey equipment to the Kazakhstan Ice Hockey Federation to help the sport expand in the country. The donation is the result of the successful Canada 150 Hockey Days in Kazakhstan event, which was organized by the Canadian Embassy in 2017 as part of our country’s sesquicentennial celebrations and the 25th anniversary of Canada-Kazakhstan relations. The event raised money for Kazakhstani youth while demonstrating that hockey is for everyone, regardless of age or gender. The Governor General visited the National Space Center. 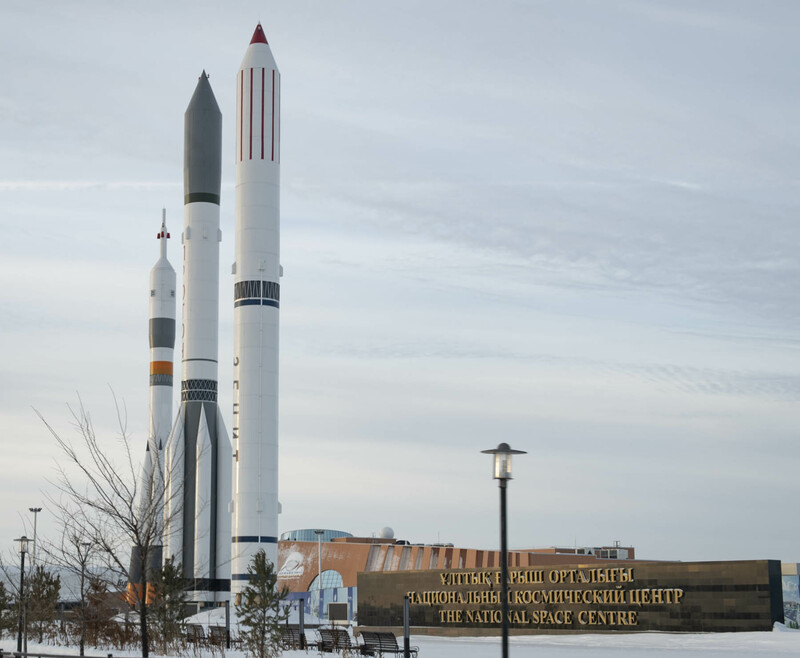 Three rockets are photographed outdoors. Bottom right, large sign reads ‘The National Space Center’. The Governor General is looking at a miniature model on a large rectangular table. A gentleman on her left is explaining the model as he points to it. They are accompanied by half a dozen other people. The Governor General is seated and is signing a book. Behind her to her right are 8 people standing in two rows of 4.